The last couple of months we’ve been putting on our research hats to dive deep into why companies such as Tesla, Microsoft, Airbnb, Xerox and Dollar Shave Club have been able to disrupt the markets and create successful businesses. What makes these companies truly innovative is the design of their business models beyond their compelling and unique value propositions. 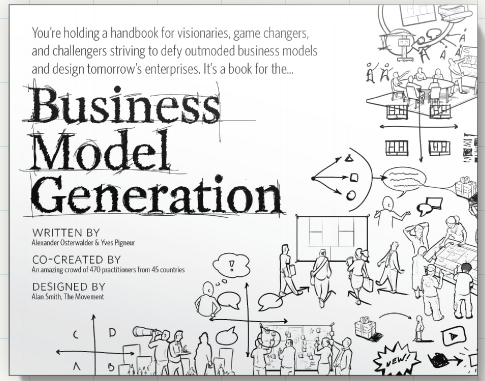 They all challenged assumptions in the creation of their business models to unlock unique opportunities for value and growth. In our research we zoomed into the radical changes these (and other) companies made in their business model design (the vertical axis of the Explore Portfolio Map above). 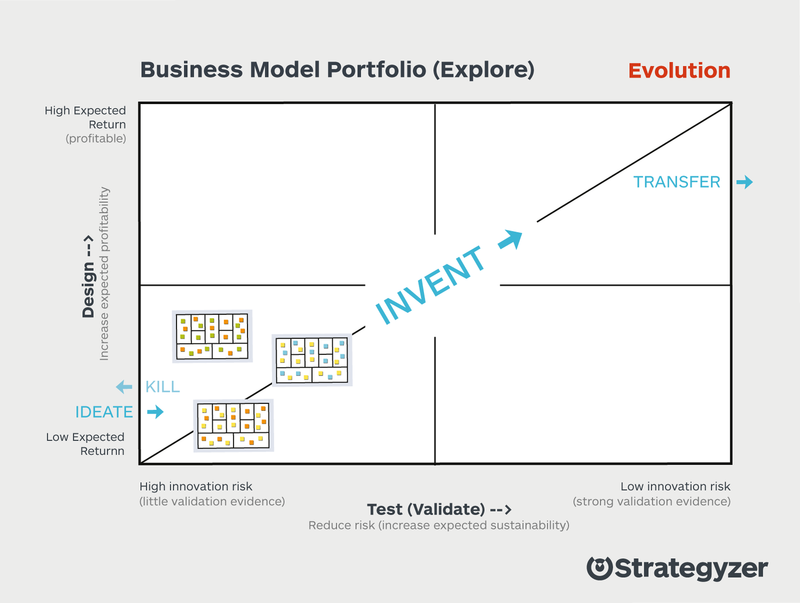 We created a roadmap for you to follow, so that we can all learn from (and potentially improve upon) the specific aspects of business model innovation that make for compelling and profitable companies. We compiled these design techniques in a catalog of (nine) business model mechanics that exemplify disruptions across the entire business model canvas: from changing how products and services are delivered to customers, to how these products and services are created, to how to extract maximum profit. 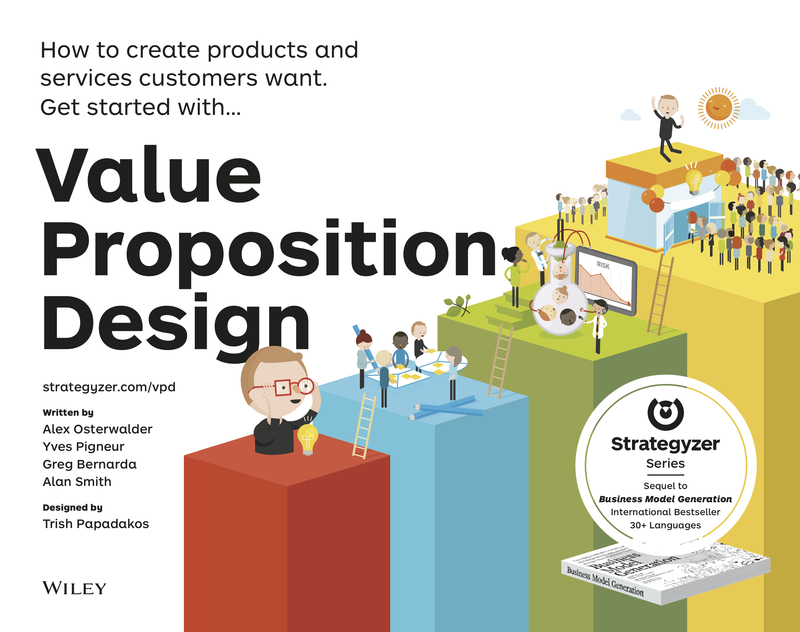 These mechanics replace the 7 Questions To Assess Your Business Model Design from Value Proposition Design. 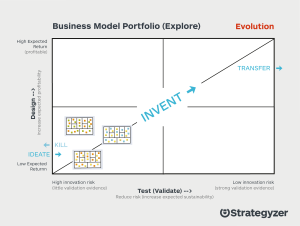 One of our convictions at Strategyzer is that innovation needs its own set of metrics, since the search for new business models creates a unique leadership challenge. How can we validate something that has never been done before and make compelling arguments for continuing the innovation process? We’ll guide you through our innovation metrics toolkit to help you to demonstrate the progress of your innovation projects, and help you to make more informed decisions at any stage of the innovation process. Since exploring new ideas is inherently built around uncertainty, we’ll help you to optimize the search and testing phases of innovation by measuring the desirability (do customers want our product/service), feasibility (can we build it), viability (does it make financial sense) and adaptability (does it fit into the business environment) of your business model. You can see this along the horizontal axis on the Explore Portfolio Map above. If we want generate true growth and value, we need to create the playground and define the boundaries for these ideas to emerge. We need to experiment, test and work on multiple projects in parallel in order for the true winners to surface. Strategy is all about creating the conditions for the ideas to flourish. Our book will dive into the journey that some companies have taken to optimize their value, so that you too can become Invincible. This entry was posted on Monday, January 21st, 2019 at 8:12 pm	and is filed under Uncategorized. You can follow any responses to this entry through the RSS 2.0 feed. Both comments and pings are currently closed.